I am having a hard time being loyal to all my loyalty programs. I have frequent flyer/buyer/rider/sleeper/eater/drinker cards with two airlines, three hotel chains, a grocery store, two booksellers, one drug store, a coffee chain, the salad place near my office, an office supply store, a credit card, a Vegas casino, a yogurt shop, a steakhouse, a diner, a sporting goods store, an online travel agency, a dining reservations site, a railroad, a smoothie stand, and a boot store in Tucson (that last one must really mess with data brokers’ attempts to profile me—seeing how that was more of a vacation fling). I may be forgetting one or two others, but my quick count makes me fairly representative: The research firm Colloquy estimated last year that the number of loyalty programs per U.S. household stands at 22. I have derived tremendous value from some of these programs, particularly those of the airlines and booksellers. Having concentrated most of my flying on United lately, I am rewarded with a little extra legroom in coach and the ability to check my bags for free. I know, I know, it’s a glamorous life: I even get to board with Group 2 these days, and once in a long while I have been able to trade in miles for a free trip. At Barnes & Noble, the 10 percent discount I get with my paid membership adds up, even if it represents a conflict of interest with my Amazon Prime membership. Prime (also a pay-to-play) is among the more ingenious of all loyalty programs, featuring unlimited free two-day shipping—whose value to me (and cost to Amazon) increases with every purchase I don’t make elsewhere. Now that I think of it, it feels odd being in a relationship with both booksellers. What kind of loyalty is that? Retailers call it “polygamous loyalty” (a term I advise you try not to use in other contexts), which speaks to the lack of seriousness underlying the loyalty program craze. By 2012, Americans had amassed 2.65 billion loyalty program memberships, which isn’t difficult when loyalty is defined so loosely. It’s not hard to understand the reasons for our current craze for this form of marketing, which began in the mid- to late-1990s. Companies want to track your habits and preferences to improve their business. And new technologies like cell phone apps are making it ever more easier for companies to vie for your next purchase with targeted seduction. The Federal Trade Commission issued a report last week on just how extensive the tracking of your consumer data is; the FTC also called for legislation to force more transparency around the issue of how much privacy you are surrendering for your loyalty. Your consumer behaviors are tracked even if you don’t sign up for a rewards card at your neighborhood grocer, but the tracking is far more individualized and accurate if you do open an account. Still, I suspect a majority of consumers are perfectly content to surrender their privacy not only to get better deals, but to recreate (even if in a virtual way) a seemingly more intimate, relationship-driven identity not just as a consumer but as an individual. Most people like the fact that multi-billion-dollar enterprises like Amazon and their grocery chain “know” them, much like people in a different era appreciated being known by the general store clerk, or the dairyman who made daily deliveries. It’s all about shrinking our worlds down to a scale where we matter. 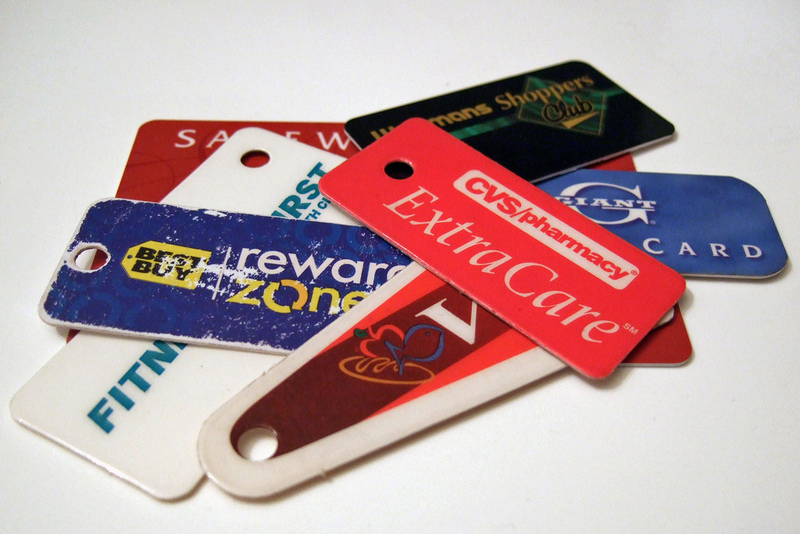 Retail rewards and loyalty programs aren’t new, of course. I can remember being impressed as a child, on visits from Mexico to my relatives in East Texas, by how fun one of the pioneer loyalty programs seemed. We’d go shopping at Piggly Wiggly and get rewarded with a bunch of green stamps that would go in an album that could be traded in for goodies. And banks for decades would lure in customers with promises of free toasters or other tangible goods. Still, you have to credit Robert Crandall, the CEO of American Airlines who launched the first frequent flyer program in 1981, as the patron saint of contemporary loyalty/rewards programs driven by once unimaginable computing power. Few business leaders have had a bigger impact on how we lead our lives, even if his legacy has little to do with the mechanics of how we fly. I am torn about all this commercialized loyalty. Yes, I have benefited. I derive some satisfaction (and, dare I say it, purpose and identity) in defining myself by the choices I make as a consumer. But I am often annoyed by retailers’ clinginess. Sometimes I just want to buy a cookie without entering into a lasting relationship (I’m talking to you, Panera Bread). As much as I benefit from my relationships with United or my grocery store, I enjoy being an uncommitted free agent in other arenas. I am loyal to no gas station, department store, or barbershop, which gives me a lot of freedom and anonymity, at the cost of picking up some rewards. What’s most worrisome is the rising cost of not opting in. There have long been members-only stores, but I fear we are heading into a future where every retail experience will be defined by whether you are in or out of network. Fly an airline whose program you’re not signed up for, and you’ll be treated as an aggravating nuisance. Refuse to hand over your card or phone number at the grocery store, and you’ll be greeted with incredulity, making you feel like an anti-social element, or a visitor from North Korea. And they’ll charge you higher prices. One welcome exception to this trend is Albertsons, the West Coast-based grocery behemoth, which announced last year that it was discontinuing its rewards card and offering the same “special” prices to all customers, all of whom deserve to be treated equally well. What a concept. Too bad Albertsons isn’t in my area—I could imagine becoming quite a loyal customer. Andrés Martinez is Washington editor of Zócalo Public Square and vice president of the New America Foundation. Primary Editor: Sarah Rothbard. Secondary Editor: Joe Mathews. *Photo courtesy of Joe Loong.